INDUSTRY.co.id - Jakarta - PT Dharma Satya Nusantara Tbk (DSNG) recorded a glorious performance in 2017 with a net profit of Rp585.15 billion, growing 133.4% from a year earlier in 2016. 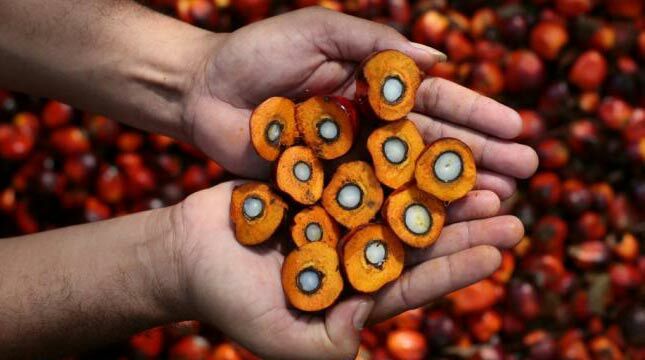 The gain was triggered by an increase in company sales, particularly from the palm oil business segment. Recorded total sales of DSNG in 2017 reached Rp5, 16 trillion, up 33% compared to 2016. From the sales growth, the palm oil business segment contributed around Rp4.29 trillion or 83.1% of the company's sales. Director of DSNG, Andrianto Oetomo, said the improved performance of the company in 2017 was driven by increased CPO production after the previous year had decreased due to the continued impact of El-Nino. In addition, the average selling price of palm oil Dharma Satya also increased compared to the previous year. "We are optimistic to maintain this performance growth this year with the growing number of productive gardens and through a series of development programs we are undertaking," he said. As of December 31, 2017, the Company's maturity area reached 72,345 hectares of the total of 90,288 hectares of embedded land. In 2017, the number of Fresh Fruit Bunches (TBS) produced by the Company amounted to 1.55 million tons, an increase of 41.6% over the previous year. As a result, the Company's CPO production in 2017 also increased 29.4% to 403.6 thousand tons. The company's average selling price of palm oil in 2017 was Rp8.1 million per ton, up about 8.0% compared to 2016. The positive operational performance had an impact on the acquisition of EBITDA of 2017 reached IDR1.54 trillion, doubled from the previous year, with EBITDA margin of 29.9%. As the plantation grows in West Kalimantan, in 2018 the company plans to build a new oil palm plant (PKS) in the province. The MCC with a capacity of 30 tons per hour is the first PKS of the Company located in West Kalimantan. With the operation of MCC, the total capacity of the Company's MCC will reach 480 tons per hour. In addition, the company is also conducting a study to develop methane capture in East Kalimantan that shows the company's commitment in developing oil palm plantations in a sustainable manner.